Appeared on 2012 L+L Festival playing his own Constellations and Toccata (2012) and Homage to Mompou (2007), and Mompou’s Cancion y danza no. 9. In 2013, premiered a co-commissioned work by Look + Listen and Concert Artists Guild with cellist/filmmaker Nicholas Canellakis for cello and piano to an original film entitled Self-Portrait. With Nicholas Canellakis, also performed Lutoslawski’s Grave and Gankino Horo, a Bulgarian Traditional arranged for cello and piano by Nicholas Canellakis. Also performed George Perle’s Short Sonata (1964) for solo piano. Praised by The New York Times for her “delightful quirkiness matched with interpretive sensitivity,” Phyllis Chen is a pianist, toy pianist and composer who performs contemporary original multi-media works. Chen’s artistic pursuits have led to her selection as a New Music/New Places Fellow at the 2007 Concert Artists Guild International Competition. She has appeared at world music festivals, international piano festivals, public art projects like Theatre for One, and as a solo musician in the Off-Broadway production of Coraline. 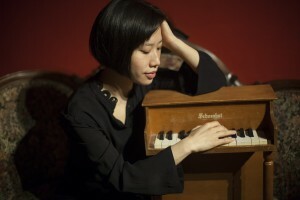 Chen just released her third solo toy piano album, Little Things , on New Focus Recordings. David founded Look + Listen and served as President for the first 10 years before moving to Chair of the Board in 2011. He also served as President of the League/ISCM from 2008-2011, when he launched the Orchestra of the League of Composers as well as Residency, Membership, and Commissioning Programs. In 2002, David founded Pinnacle Prep, a premium test prep company that provides premium tutoring for the SAT, ACT, and other standardized tests as well as academic tutoring. Pinnacle Prep currently has over 40 employees and works with students throughout the US and Internationally. Included in David’s artistic background are a novel he wrote entitled The Canvas, a documentary he directed and edited called Mitia, which is shown by the Spertis Museum in Chicago to Holocaust survivors, and numerous works of music. Born in Illinois in 1969, David earned his M.A. in music composition in 2000 at New York University, where he studied with Charles Wuorinen, Martin Boykan, Louis Karchin, and Elizabeth Hoffman. 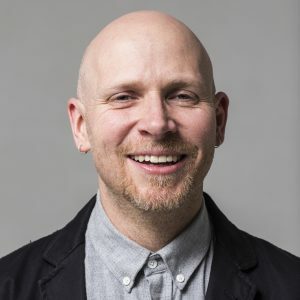 Jason Treuting is an active composer, professor and member of critically acclaimed So Percussion. He has recorded extensively and collaborated with a wide range of artists and composers including Steve Reich, David Lang, John Zorn, Dan Trueman, tabla master Zakir Hussain, the electronic music duo Matmos and choreographer Eliot Feld. Jason is co-director of the So Percussion Summer Institute, an annual intensive course on the campus of Princeton University for college-aged percussionists. He is also co-director of a new percussion program at the Bard College Conservatory of Music, where So Percussion is ensemble-in-residence beginning fall of 2011, and has taught percussion both in masterclass and privately at more than 80 conservatories and universities in the USA and internationally.